Is your staff kitchen or tea point in need of refreshing? 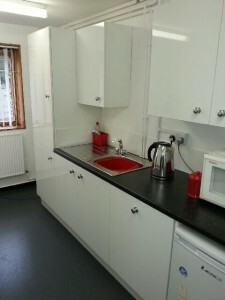 Do you require a new staff canteen or break area? These pictures are from a kitchen installation for GEA in Whitchurch; we decorated the kitchen, installed new flooring, the new white kitchen units, black worktop, sink, fridge and dishwasher. We refreshed a staff kitchen for a customer of ours where we installed new base and wall kitchen units, worktops, sink, fridge and dishwasher, decorated the walls and ceiling, and fitted new safety flooring. Formed a small tea point where we installed some new base units, worktop, a sink and power points to an existing area. We carried out a large canteen area refurbishment in an office block putting down new flooring, carrying out some partitioning and joinery works, decorations, fitting new tray rails and hygienic linings to the kitchen prep area. Moving a small kitchen from one room into another area to make more office space. Installing new units, tiles, sink and worktop, and carrying out electrical and plumbing work. As part of a fit out contract we created a break area for the staff of a large air conditioning company. We created the area by partitioning off a piece of the office space with some full height glazed partitioning. We can offer you one point of contact for all the works related to your project. Fit hygienic wall linings if required. We’re an experienced fit out contractor, so can also carry out any other works required. 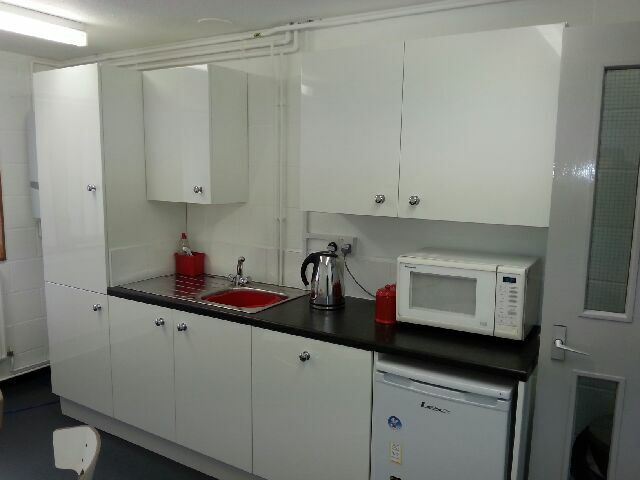 If you need to create the space for your kitchen or teapoint we can do that for you, and if you require any other alteration works (perhaps to a ceiling or floorings, decorations, electrical or mechanical items, or joinery work) we can manage all of that for you, if you would like.